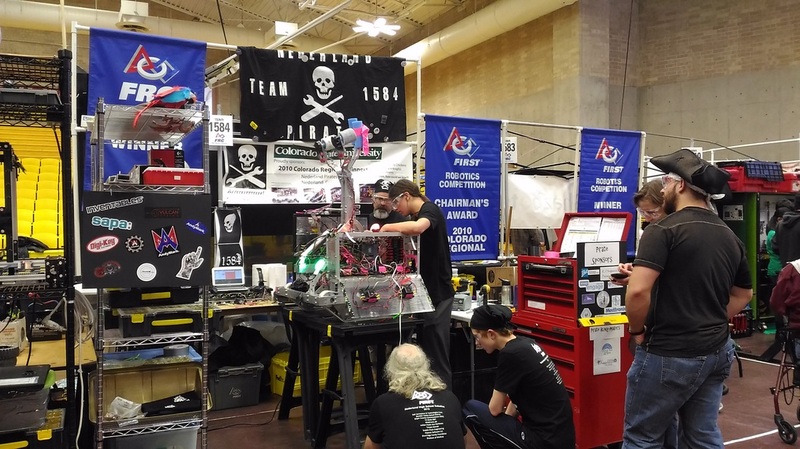 The Regional began with our swabs on deck assembling the piston arm and grabber of the robot onto the frame because we had bagged and tagged the robots arm and frame separate, they continued to work and get the robot fully functioning and ready for competition. 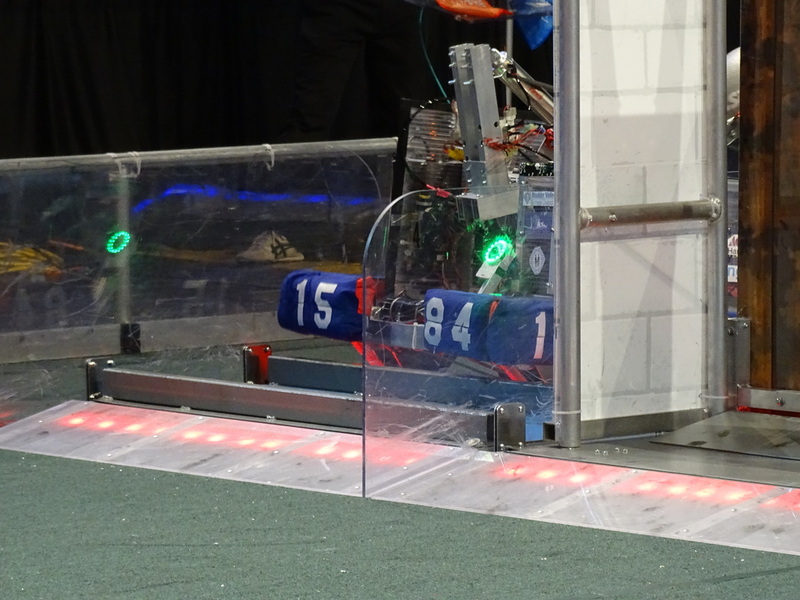 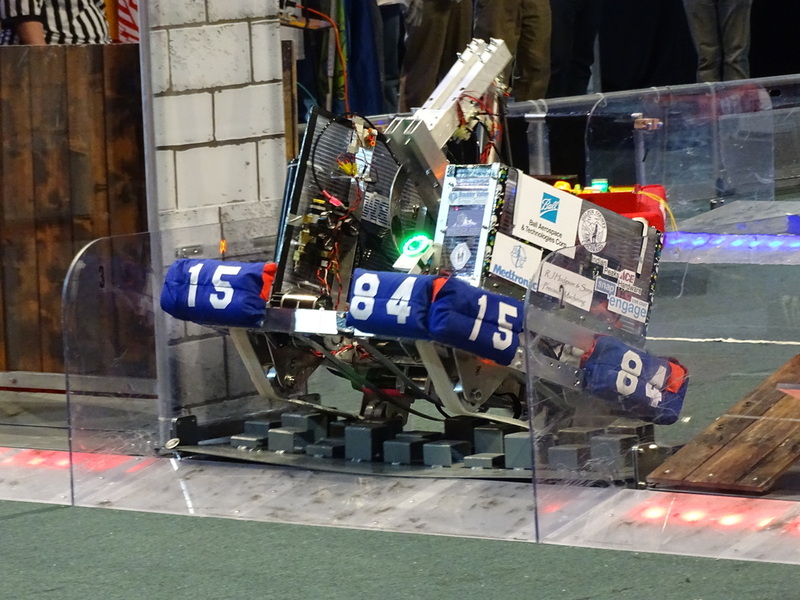 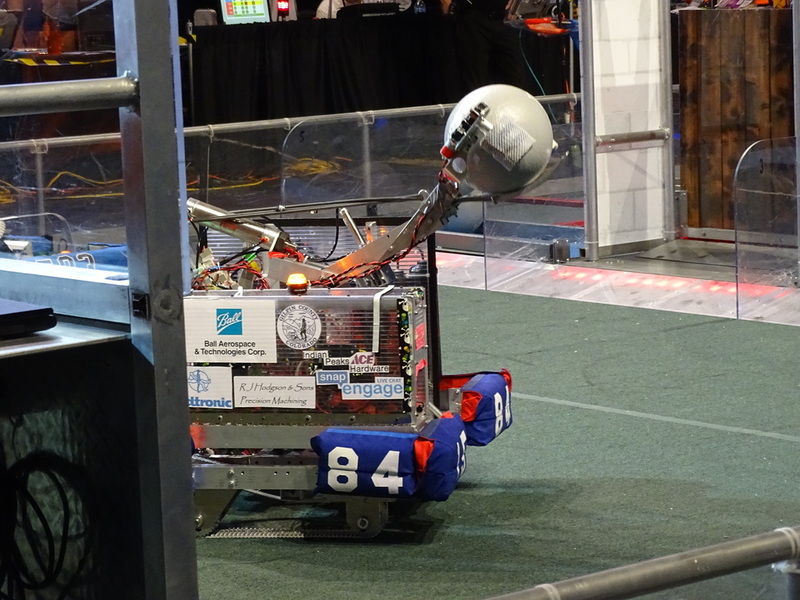 Then the matches began and the robot was tested out on the field. 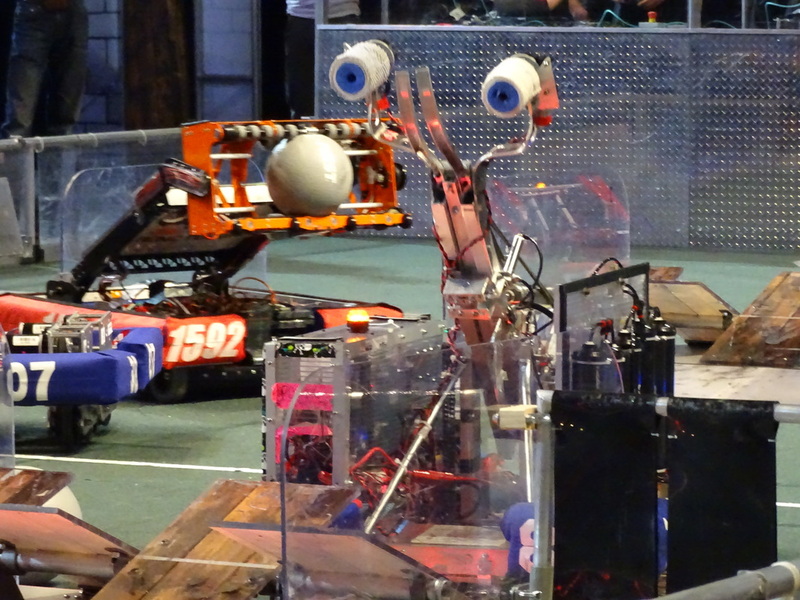 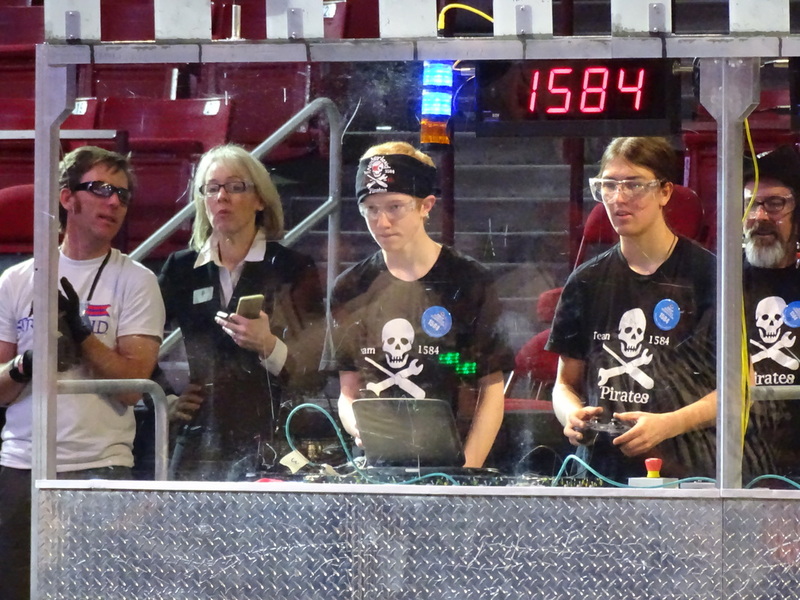 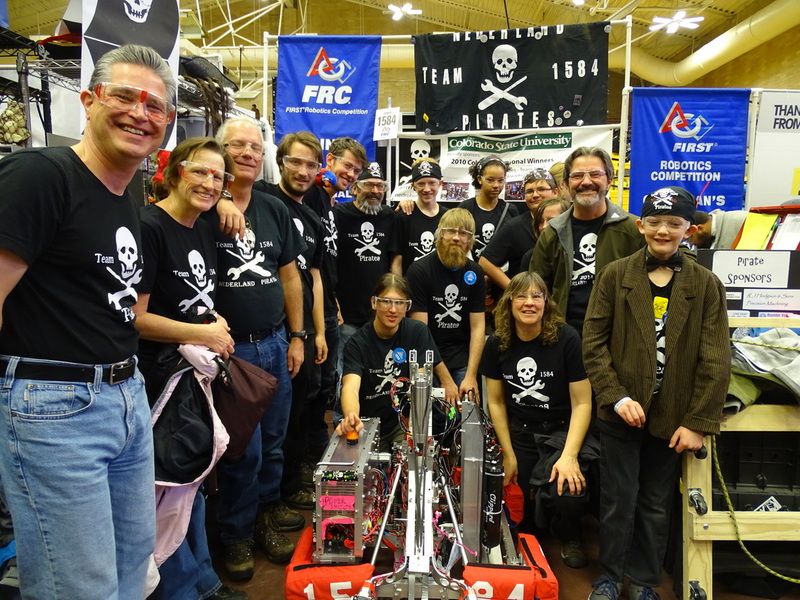 With some difficulties along the way and some good matches the De Ballista (team 1584's robot) played in alliances overcoming field obstacles. 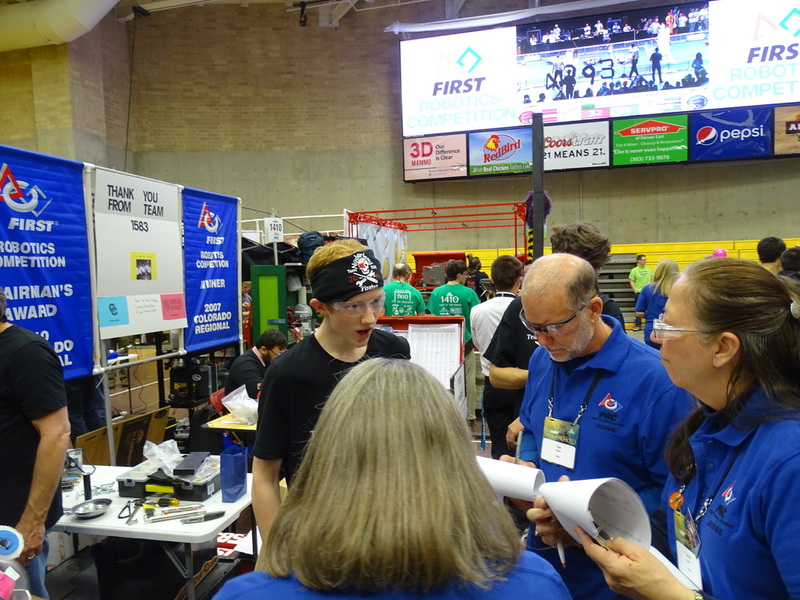 To make this happen mentors Doug and Randy as well as the students on the team continued through matches to build and improvise new solutions to problems that arose. 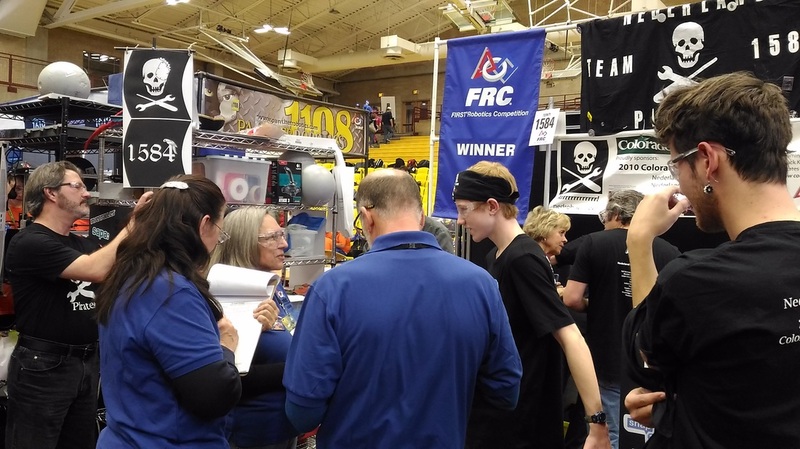 which allowed us to test our design and learn more about robotics while playing alongside other teams that showed off their awesome designs and teamwork. 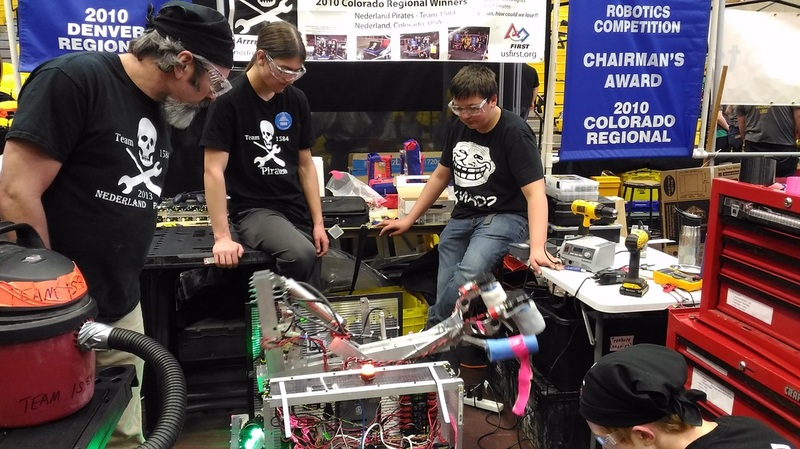 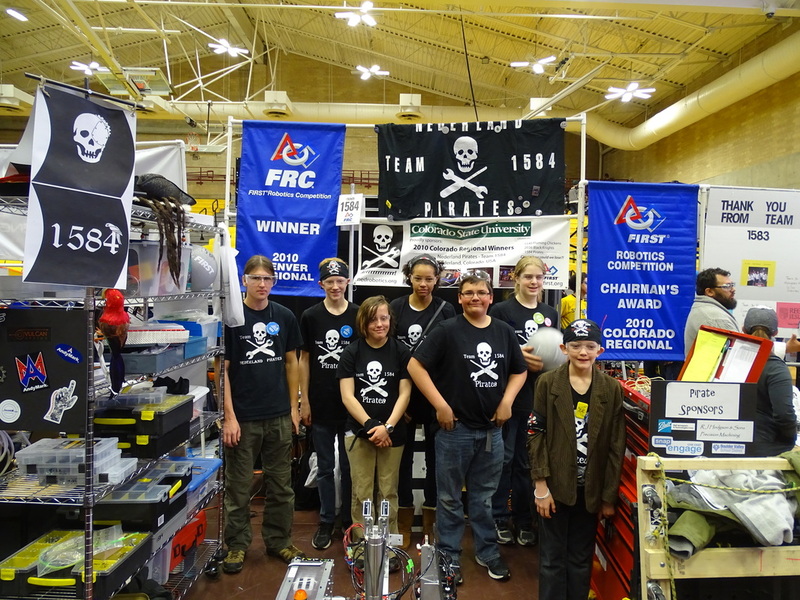 Thanks to any team that helped us while we were bugging out the problems and we hope everyone had a great time at the Colorado Regional Competition.